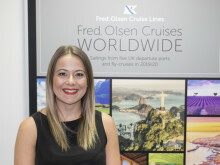 Experts at world-leading independent cruise review website, Cruise Critic, have voted Fred. 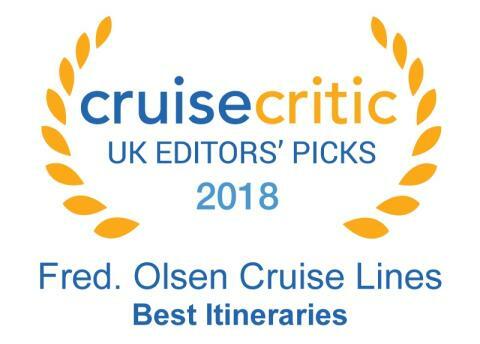 Olsen Cruise Lines ‘Best for Itineraries’ in its prestigious ‘UK Editors’ Picks Awards 2018’, for a record fourth consecutive year! Fred. Olsen was awarded the coveted 'Best for Itineraries' title last year, for the fifth time overall, and was also voted ‘Best for Solo Travellers’. 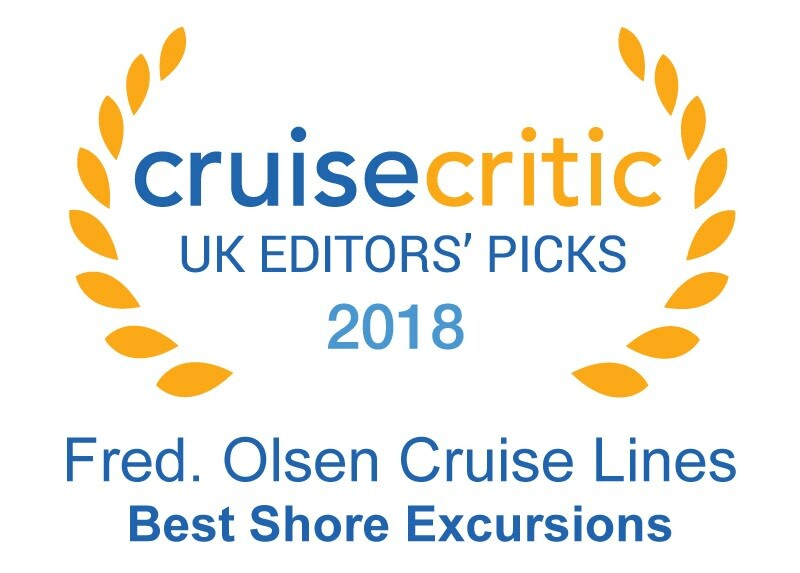 The winners of the ‘UK Editors’ Picks Awards 2018’ are selected by Cruise Critic’s team of knowledgeable cruise experts, based on the lines and ships that they feel are ‘at the top of their game’, and best represent excellence in the Ocean, River and Luxurycategories. “We are really proud to win Cruise Critic’s prestigious 'Best for Itineraries' award for a record fourth year in a row, particularly as we know that itineraries and the destination are the most important factors for guests when choosing a cruise holiday. In 2019/20, Fred. Olsen’s fleet of four smaller, more intimate ocean ships – Balmoral, Braemar, Boudicca and Black Watch – will be visiting no fewer than 219 destinations in 75 countries around the globe, covering 79 areas of scenic cruising. Complementing the UK departure ports of Dover, Southampton, Liverpool, Newcastle and Edinburgh (Rosyth), there is also an expanded programme of exotic fly-cruises. Fred. Olsen will also be entering into its second season of dedicated river cruises aboard stylish river ship, Brabant, in 2019. The cruise line will be offering 33 sailings ‘right into the heart’ of destinations along the Rhine, Danube, Moselle and Main rivers, departing from Amsterdam in The Netherlands, Düsseldorf and Nuremburg in Germany, Budapest in Hungary, Hirsova in Romania and Basel in Switzerland.